Apple iPad is certainly the best tablet available in the world right now and that is the reason why iPad is currently dominating the tablet market in the entire world since it was originally launched. First iPad was launched by Apple in 2010 and since then, it has always been the number one choice of tablet for millions of consumers all around the world. When it was announced, it seemed like a larger version of an iPhone without a phone radio and there were many critics as well. But still, iPad was able to make so many changes in our thoughts and now most of the iPad users cannot dream of getting any other tablet. Since 2010, three different iPad models have been launched by Apple, each was released every year. This year, iPad 3 or the new iPad was launched by the fruit named company that came with many new amazing features. It has a Retina quality display screen, it also offers a better and improved camera and it also features 4G connectivity. Now, if you are a tablet user then you might already know that this device is mostly used for internet browsing and streaming movies and videos on the go. That is why there are so many uses of this device and millions of people all around the world are enjoying them. 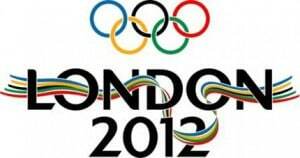 The biggest attraction nowadays is the Olympics event that is being held in London, UK. Sports teams from all around the world are in the capital city of England to compete with each other and win Olympic medals for their countries. In that entire craze, those people who cannot visit to London to watch these games, they are just going to enjoy these gaming events from TV or other alternative ways like watching them online. If you are not living inside the UK, then you might not be able to get enough time to follow the TV schedules and watch games and that is why you are left with the only option, the internet. In addition to that, you cannot always be in front of the TV and that is why you will need something more mobile and portable to stay updated with the latest results of Olympic Games. Watch Olympics 2012 on Your iPad Using VPN Service! That is why; we are going to tell you how to watch all the events of Olympics 2012 on your iPad. First of all you will need a VPN connection that will offer you with a UK IP address. Once you have a UK IP on your iPad, you can easily get access to any website based in UK like BBC iPlayer that are streaming the events of Olympics. Now, a VPN is very easy to configure on an iPad and anyone with the basic tech knowledge can do that without any trouble. By following all the above mentioned simple and easy steps you will be able to watch all the Olympic Games on your iPad. Here is the list of some of the best VPN providers that will allow you to watch Olympic events on your Apple iPad.